A Centers for Disease Control and Prevention (CDC) study finds that opioid-related poisoning deaths more than tripled from 2000 to 2015 in the U.S., and that they are a significant factor in reducing the country’s average life expectancy. Although life expectancy at birth increased by two years over the course of the study period, CDC researchers say that opioid-related poisonings contributed to an overall loss of 0.21 years in life expectancy. Their findings show that 96 percent of these deaths were unintentional. On its site, the CDC says that the spike in overdoses involving prescription opioids is directly tied to current prescribing practices. An aggravating factor in the rise of opioid overdoses can in large part be attributed to their highly addictive nature. Many people develop their addiction to these drugs while attempting to manage pain, but cases of abuse have become more common over time. Two of the most common opioids related to overdose cases include oxycodone (OxyContin), and Hydrocodone (Vicodin) – both of which are commonly prescribed to relieve pain. The National Institute on Drug Abuse (NIH) says that 2.5 million Americans currently suffer from opioid use disorder, but there are effective medications that can treat it. 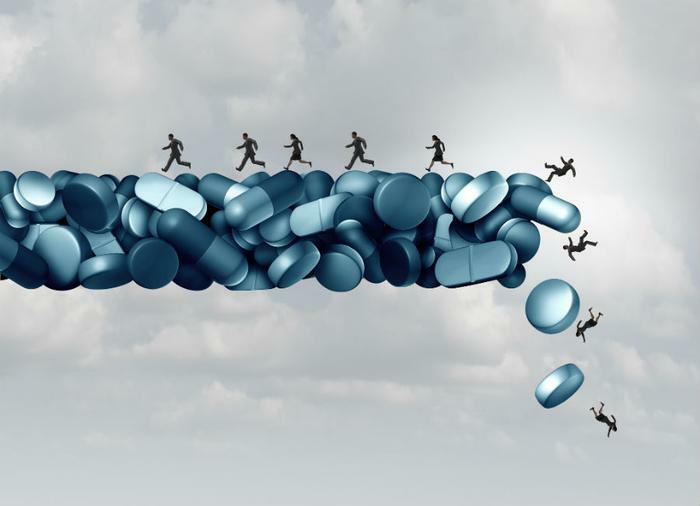 The World Health Organization has classified buprenorphine and methadone as “essential medicines” for treating opioid addiction, but experts say that these drugs should be used in conjunction with other interventions for the best outcomes. “Medications should be combined with behavioral counseling for a ‘whole patient’ approach, known as Medication Assisted Treatment (MAT),” NIH said on its web page. Officials have credited MAT with decreasing opioid use, overdose deaths, criminal activity, and infectious disease transmission rates. Unfortunately, one of the most-cited drawbacks of these medicinal treatments are that they themselves can become addictive to users. This is particularly true of methadone, which has been connected to a large number of overdose deaths in its own right. However, researchers from Mount Sinai hospital are currently working on a new class of medications that would be non-addictive and less harmful to consumers. While these drugs are currently being tested and may not be available to patients for some time, lead investigator Dr. Marta Filizola is committed to attacking the opioid overdose epidemic with effective alternatives. “An alternative, non-addictive medication for chronic pain will help us combat the ongoing national crisis of addiction to opioid drugs and the devastating overdose epidemic deriving from it,” she said. The team’s full study has been published in Scientific Reports.